When is a home venue also a neutral venue? That's the square peg in a round hole that the GAA have managed to create and it's drawn a lot of criticism, including from Peter Canavan on this week's Throw-In. 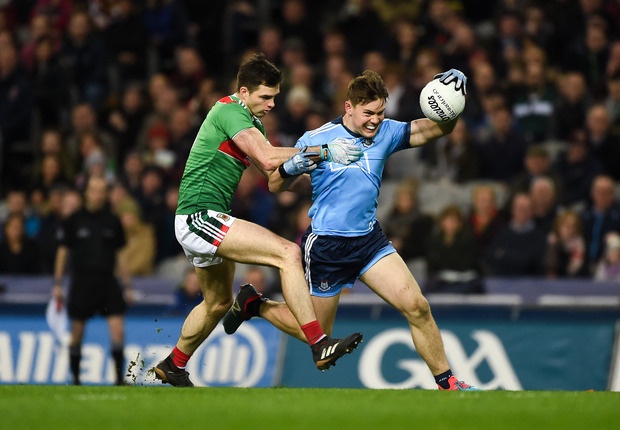 "Dublin are getting away with it and it shouldn’t be the case," he told Will Slattery, Michael Verney and Donnchadh Boyle. "If, for example, Dublin were to play Tyrone in Clones as a neutral venue, it changes things completely." On the pitch, Mayo were given a reality check by the Dubs, which is no bad thing for them and for Tipperary, losing another close game, this time to Kilkenny, means confidence is draining fast, says Brendan Cummins. "Once again we lost the arm wrestle. Tipp at the moment need a win from somewhere to build confidence and head into Munster with confidence under their belt." Plus, the panel give their verdicts on the Performance of the Week, including an eye-catching fisted goal from Tipperary's Aisling McCarthy.